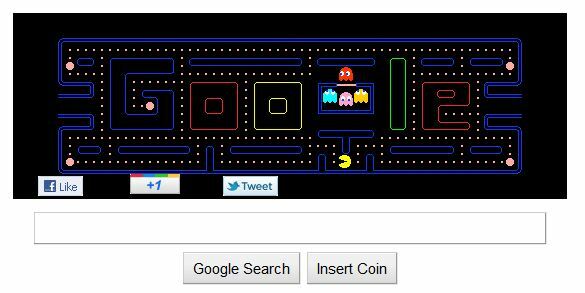 Here are all kinds of fun little things you can do with Google, most of which I didn’t know existed. 1. Do a barrel roll. In Google search page or Google URL bar, just type in “do a barrel roll” and watch what happens (or click the hyperlink above)…. a barrel roll. Refreshing the search will make the screen do another roll. Yep, you guessed it. A mirrored version of the Google search screen. But, there is more you can do here. Quite a bit more, actually. Well, technically the page is “I’m google” spelled backwards: http://elgoog.im/ There are several “Google Tricks” here. • Google Mini-Trick #1: Underwater. A neat little underwater scene. 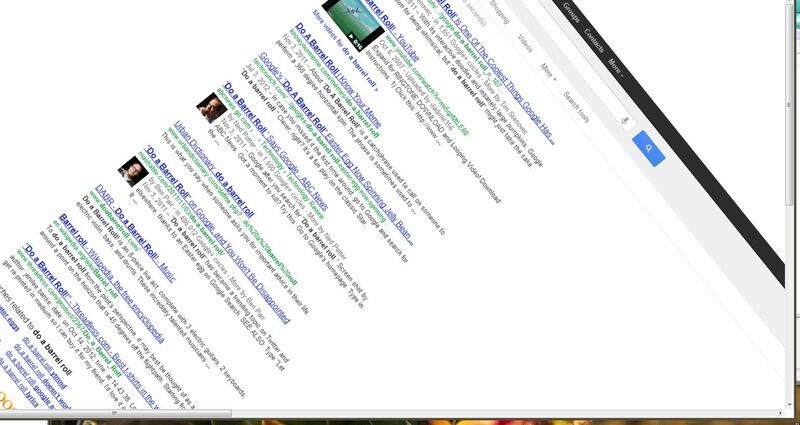 • Google Mini-Trick #2: Gravity. In this world, not even Google can defy gravity. • Google Mini-Trick #3: Terminal. Okay, old timers (like me). Remember the old terminal logon screens? This is what Google would be like if it was a terminal, complete with the dial-up sound effects2. I love this one. Reminds me of when I was studying Computer Science back in early 1982+ in college. Way deep down in the terminal rooms in the lower basements of the CS Building at Purdue. Florescent lights humming and freezing cold because the enormous Unix mainframe back then could easily overheat. Looking for my printout of code on those variant-green printouts all connected together and zig-zag folded. Ugh, trying to find the one code that kept the program from working…. Okay, enough. Onward ho! And there are a few others but they’re not as fun as these tricks above. Here you will find all the Google Doodles ever made. Remember, Google Doodles are created for countries all over the world, not just the US. So you can check out what tidbits of information were honored in various countries. 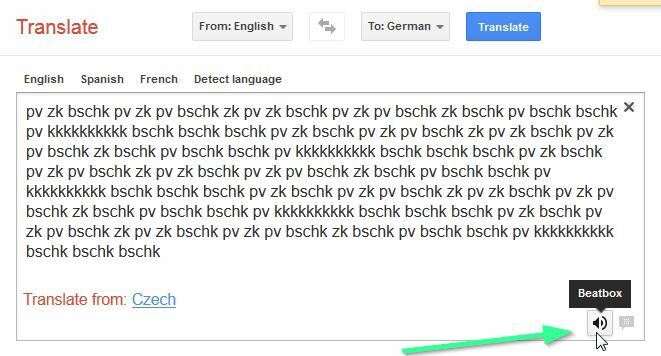 Make sure to set the translation From: English, and To: German. In the bottom right corner of the box you pasted all the gibberish in is an audio icon. Click to play and hear the beat box. Or you can just watch, well, listen to this YouTube video to find out what it sounds like. You may then enter in your name, or any name, word, etc. to see it displayed ala Google-style. 6. Google screen in Pig-Latin, Klingon, and Elmer Fudd. They are all cute, but nothing to write home about. Primarily, the Google options in the top left bar are “translated” into the requested language. 7. God on Google Earth. Sometime in 2010, people around the world went “God crazy” when Google Earth supposedly had taken a “snapshot” of “divine beings” while crossing a mountain zone in Switzerland. There’s no definite answer, of course, but the buzz it created was testament to how the entire online community could get excited over a blurry photo. 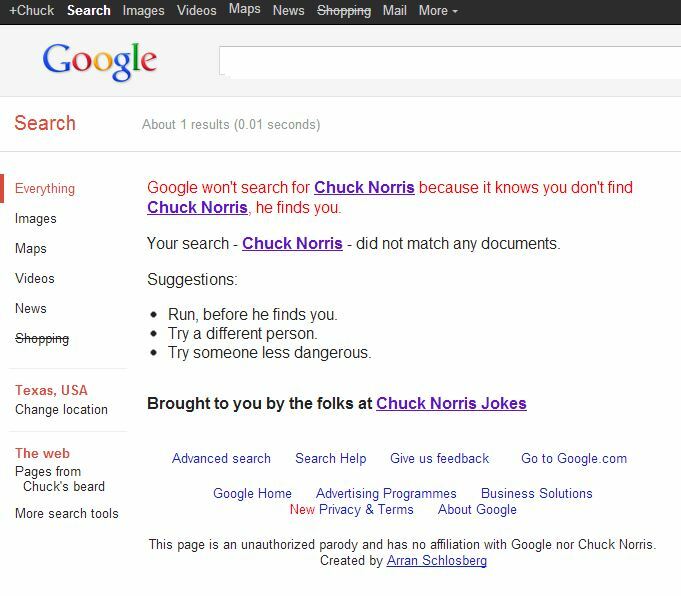 Actually, just doing a Google-search of “Chuck Norris” brings up normal results. There is another site that looks like what the result should. Although no longer a part of Google as it’s been moved to it’s own domain. Still a fun search screen to go check out. Google Sphere takes all the words and parts to a typical Google search screen and turns them into a rotating interactive sphere of floating text and the search bar. 10. 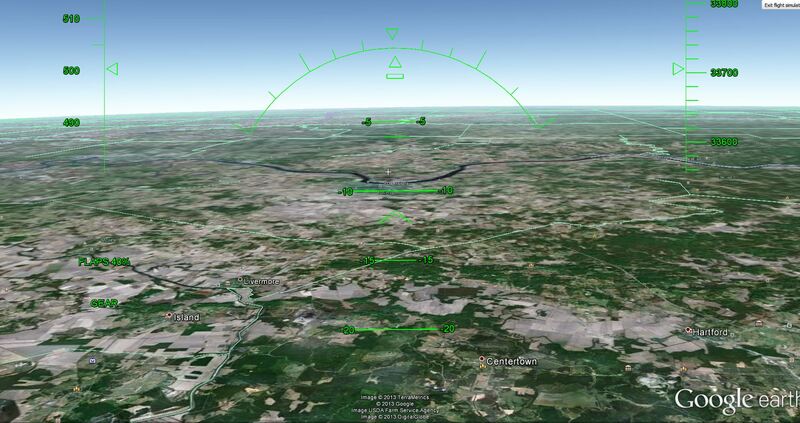 Google Earth Flight Simulator (screenshot below). A real good one, too. Well, actually, it’s the only one I’ve ever tried, but it made my stomach roll a bit, especially when rolling the jet. Open up Google Earth. If you don’t yet have Google Earth downloaded, you’re missing out. Click HERE to download. Anyway, the simulator… Open up Google Earth, click Tools > Enter Flight Simulator and have fun. There are instructions and keyboard commands if you really want to max out it’s capabilities. Or you can be like me and just click and move the mouse and fly like I’m drunk. And there you go! There are more tricks on either of the source links below. And I’m sure there are hundreds of other items just tucked away by developers just waiting for someone to find them. Oddee: 10 Craziest Things That Happen When You Google..
Ahhhh the underwater one!!! LOVE IT! I had no idea all that stuff was hiding in Google … although I should have guessed. This just might be your funniest and most interesting post, for me, cause I love stuff like this. Thank you Ms. Michelle.